State Representative Avery Bourne (R-Raymond) was sworn-in as Representative for the 95th District of Illinois on Wednesday at a ceremony that marks the historic 100th General Assembly. 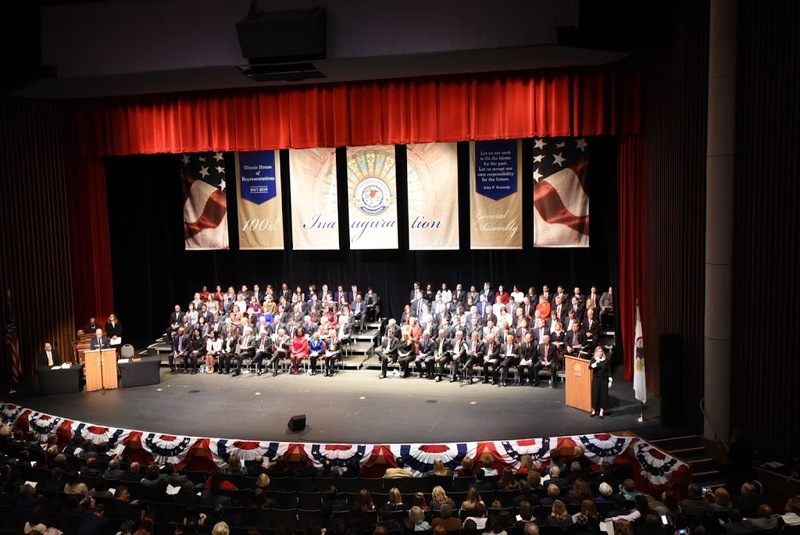 The Inauguration ceremony took place in Sangamon Auditorium at the University of Illinois in Springfield. All 118 State Representatives took the oath of office following successful elections in November. This swearing-in marks a shift in the numbers in the House, with Democrats holding only a simple majority with 67 members and Republicans with 51 members, a shift of four seats since the 99th General Assembly. After the members were sworn-in, Speaker Madigan was once again elected Speaker of the Illinois House by Illinois House Democrats with a vote of 66-1 for Madigan. One Democratic member voted “present” instead of casting a vote for Michael Madigan. This marks his 32nd year as Speaker, since being elected to the Illinois House in 1971. Representative Bourne joined her colleague in voting for Rep. Jim Durkin, R-Western Springs, who will continue his role as House Minority Leader. In the Illinois Senate, Sen. John Cullerton, D-Chicago, was re-elected as Senate President, and Sen. Christine Radogno, R-Lemont, will continue as Senate Minority Leader. In a true move of bipartisan progress, the Senate adopted leadership term limits for the Senate Leaders at the start of the 100th General Assembly. In the past, Representative Bourne has sponsored legislation that mirrors this reform and is sponsoring it again this session. Her legislation goes a step further because it seeks to enact leadership term limits for both chambers, House and Senate. Representative Bourne adds, “With this new beginning, I want to again encourage folks living in the 95th district to let me know your questions, concerns, and ideas.” Bourne’s district office is located at 301 N. Monroe Street in Litchfield and her office number is (217) 324-5200.